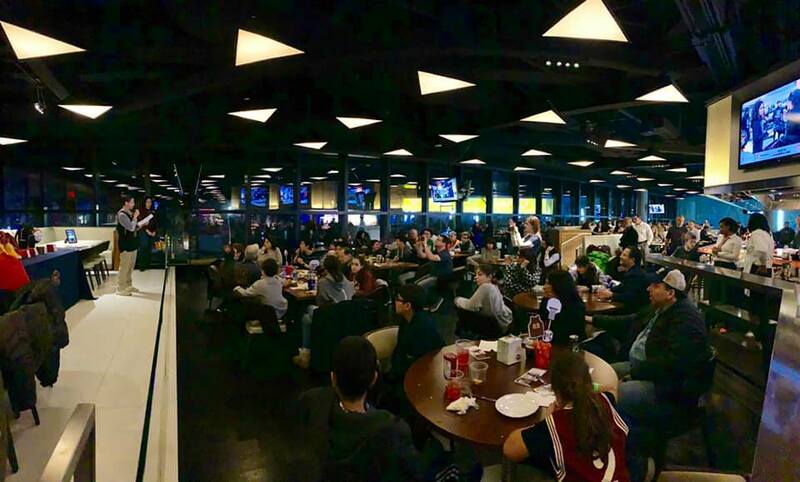 In celebration of 2018 National Crohn’s and Colitis Awareness Week, we hosted 200 AVC fans for a great night of food, hoops, and networking at the Barclays Center. 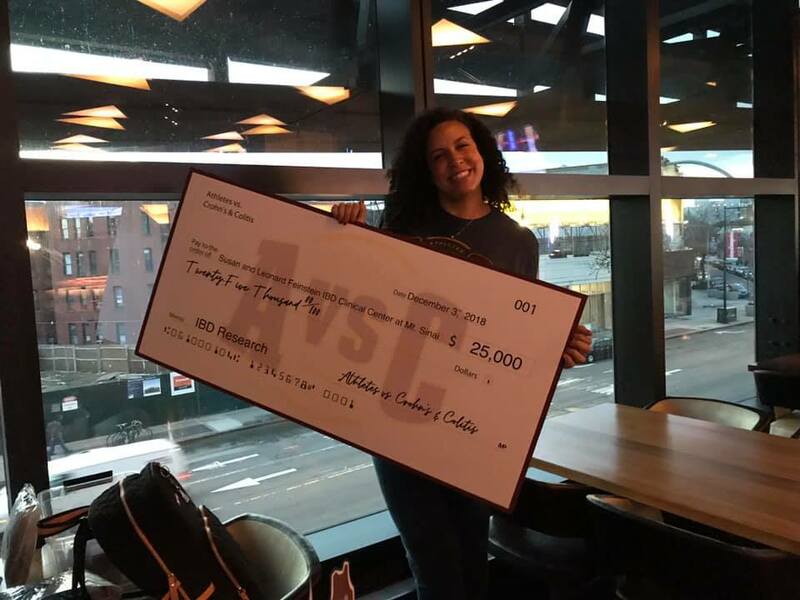 The event included dinner, drinks, great raffles, and tickets for Cavs vs. Nets! Before the game, Noah and Kaare Weber took to center court to present Dr. Marla Dubinsky of Mt. Sinai Clinical IBD Center with a check for $25,000 to be used for much needed Crohn’s and Colitis research. To top it off, Larry and the Cavs walked away with a victory! Thank you to everyone who came out and supported our cause – we are grateful for the opportunity to raise awareness and make a difference in the IBD community! Click on the video to see the check presentation. 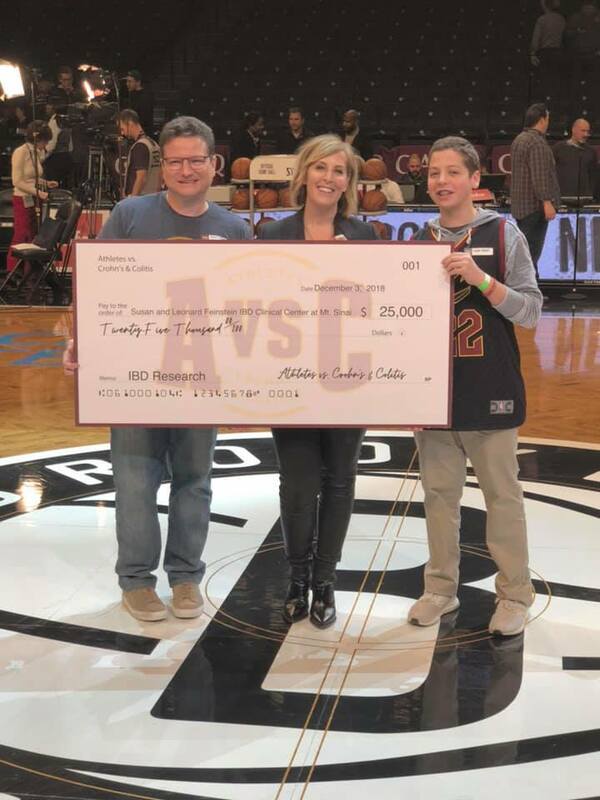 Kaare, Dr. Marla Dubinsky and Noah on the court at the check presentation. Noah gives a speech to the AVC supporters attending the fundraiser. Casey Nance , AVC Director of Operations, holds the check before the presentation. 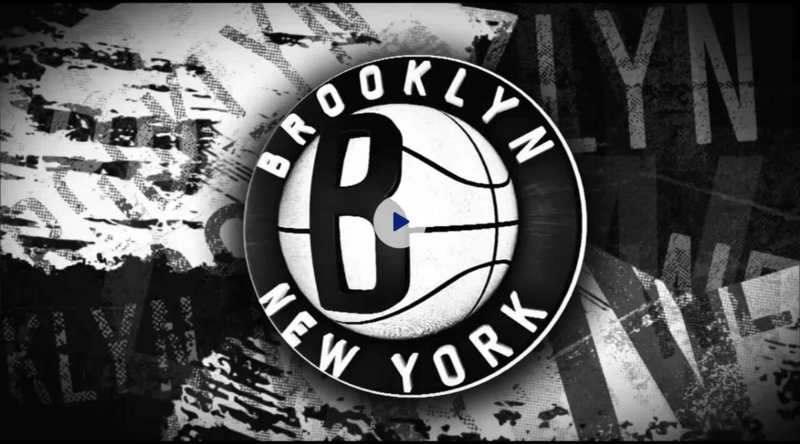 CLICK HERE to see more pictures from the Barclays Center non-profit night. of pediatric gastroenterology, to be used for much needed IBD research and improving the patient experience at the Cleveland Clinic. 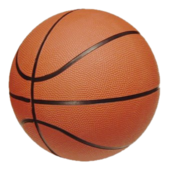 Click here to see the AVC event with the Cleveland Cavaliers.